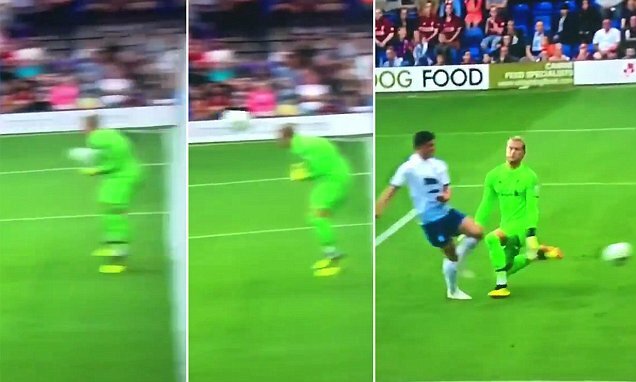 The Tranmere player who called Loris Karius ‘f*cking sh*te’ last night is actually a Liverpool supporter, it’s been revealed. Ben Tollitt was caught on camera telling Liverpool’s German goalkeeper exactly what he thinks of him last night, following a Karius mistake that got his side back into the game. Liverpool won 3-2 but all anybody is talking about is Karius’s error and Tollitt’s reaction. Upon delving a little, we can see that Tolitt is a big Red and even sent a message of support for Liverpool ahead of the Champions League Final, which Karius cost us (although he was suffering from concussion). A few years ago, @bentollitt and I were playing Sunday league football together. We wonder if his reaction to Karius’s mistake is partly due to the heartbreak we all suffered in Ukraine! Who knows? There’s a chance it means absolutely nothing, of course, as reactionary things like this are said on a football pitch the entire team.